Cayenne is a spiky shrub named after the town it originated from in the South American region of French Guiana. Like other hot peppers, it derives its spiciness from a compound called capsaicin, the presence of which determines a peppers heat rating on the Scoville Scale. 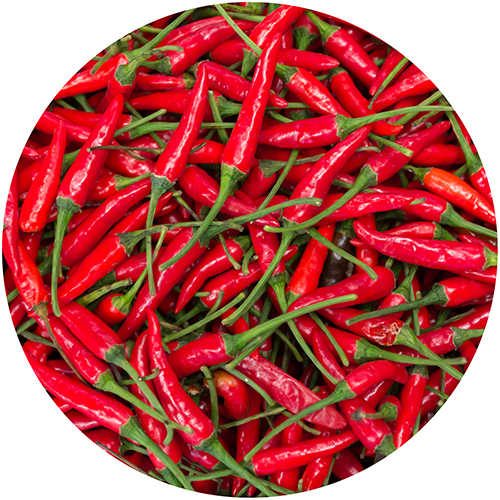 Aside from their prominent thermogenic properties, capsaicin and other compounds from cayenne pepper support healthy metabolism, circulation, immunity, and cellular oxygenation. A cooled down version is commonly taken in pill form for cardiovascular support.